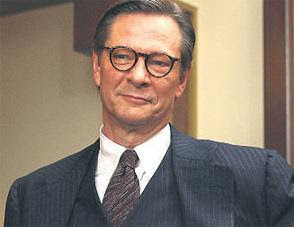 Oscar-winning actor Chris Cooper of films such as "Adaptation," Seabiscuit," and "American Beauty" mentioned in an Irish newspaper that he and his wife, Marianne, are shepherding a film through Hollywood that deals with inclusive education for kids with cerebral palsy. Cooper's son, Jesse, had CP and his wife wrote the screenplay for "Hurricane Mary," which is based on the true story of a mother with twins with CP fighting to get them into school. According to imdb.com, the movie will start production in Sept. 2008. In March 2008, Cooper also spoke about the need for the film to illustrate how parents of children with disabilities have to struggle against the U.S. medical and educational institutions.